In this new game of the series Cooking with Emma the lovely cook needs help to prepare an Italian classic: Pizza Margherita. But as always, this recipe is vegan and even the cheese is handmade! Follow her instructions and move the cooking utensils and ingredients to prepare the pizza and serve it at the end. The whole recipe is available in an overwiev for you to make it at home! Bon appetit! 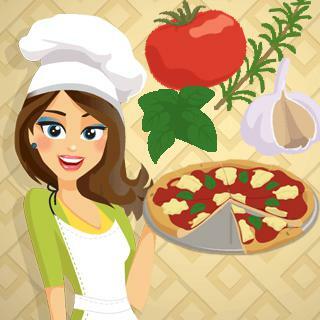 Pizza Margherita - Cooking with Emma - Find Pizza Margherita - Cooking with Emma in our vast HTML5 games catalogue. Only the best and newest HTML5 games for all audiences. Guaranteed success with Famobi.